Ever hear a story about a business owner who enjoys accounting and bookkeeping? I think it is an urban legend. Small business owners tend to dislike crunching numbers because it takes too much time, can be too confusing or it involves expensive, hard-to-use software. Ever hear a story about a business owner who enjoys accounting and bookkeeping? Some say he lives in Tulsa, others claim it is a woman in Fresno. I think it is an urban legend. Small business owners tend to dislike crunching numbers because it takes too much time, can be too confusing or it involves expensive, hard-to-use software. The result: 64 percent of businesses manage their money half-heartedly out of shoeboxes and spreadsheets, or generally lack a solid accounting system, according to SimCorp USA Inc. and the Financial Executives Consulting Group. You can take control. Here are five ways that online technologies will save you accounting time. For a small business, turning to the cloud can provide a plethora of accounting and money-tracking applications that have very clear advantages. Such advantages enable users to work from anywhere, on any computer that has a browser. All of these solutions work on a Mac or PC — there are no limitations. Working with accounting solutions in the cloud also allows you to grant access to collaborators such as business partners and accountants who can help with the work that needs to be done. Though some applications charge a monthly fee that could exceed the cost of desktop software, there are many inexpensive options, and some that are completely free. You will also find that cloud-based applications automatically back up data, eliminating the risk of lost work. For some people, working in the cloud raises anxiety levels brought on by potential security threats. Therefore, you should make sure the service you choose has privacy and security measures that are certified by a third party. VeriSign and TrustE are among the best known. 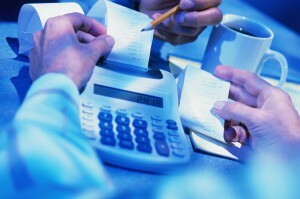 Many individuals spend countless hours on their accounting processes manually entering purchases, receipts and payments. When you make a purchase, it automatically becomes visible on your credit or debit card statement. And when you deposit a payment, it is posted to your bank statement. The information already lives in digital form, so there should be no need to manually enter it into a spreadsheet. Choose an accounting application that allows you to import data directly from your bank and credit card accounts. Running a small business means there is an unlimited amount of data that needs to be tracked, so using an automated system will dramatically save you time. When the numbers come in directly from the bank, there is no chance you will accidentally transpose two digits and then spend hours trying to locate your error. The chance of bookkeeping errors that lead to lost income or tax penalties is greatly diminished. A good accounting application will also be efficient. Do you type invoices manually and then record the information into a spreadsheet? You are duplicating your workload. A good online solution will allow you to create invoices and automatically register the income, taxes and other details into the right places. What does tax time cost you, emotionally and financially, every year? Let me paint an alternate scenario: You choose an automated, cloud-based accounting tool that gathers your transactions year-round. You then either put in time to manage your books, balance sheets and income statements — far less than if you were doing things manually — or you invite a collaborator such as an accountant to do that for you. Come tax time, there’s no backlog. There’s no panic. What a relief. Though we hate to admit it, we business owners cannot track everything ourselves. There are many responsibilities to running your own company, and while you focus on the juggling act, small but important tasks can be missed. A smart, intuitive accounting tool helps you pay attention to what matters most. Look for solutions that alert you when bills are due, when customer invoices are overdue, or send you real-time overviews that you can understand at a glance. Accounting is too important to ignore, and does not have to take a lot of time. With the new breed of online financial tools available, you will find they are easy to use and will simplify your life. And they are often inexpensive or free. Begin the New Year on the right note. Make it your resolution to reduce the time you spend on accounting, so you can focus on your business.